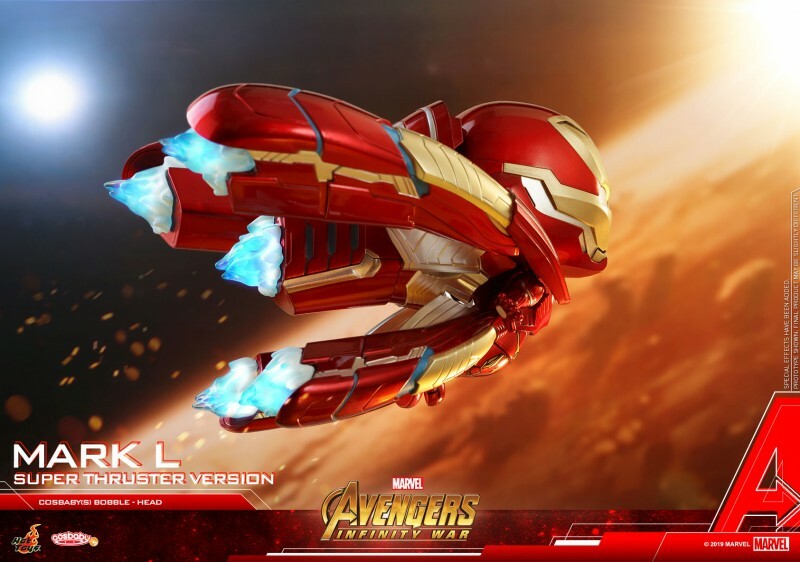 Spanning the entire Marvel Cinematic Universe, Marvel Studios’ Avengers: Infinity War has offered an unforgettable experience to audiences with its deadliest showdown. 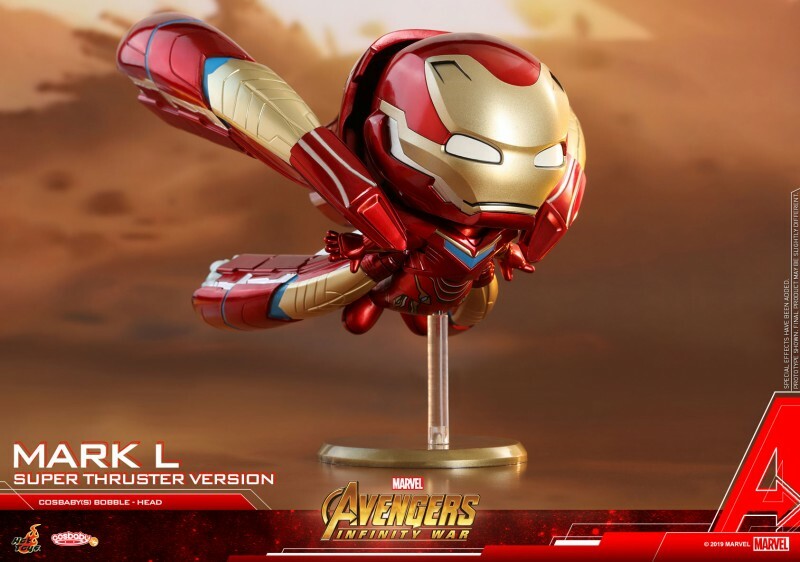 Today, Hot Toys is excited to continue in expanding this marvelous series with one of the Avengers stars in his most advanced suit - Iron Man Mark L (Super Thruster Version) Cosbaby (S) Bobble-Head! 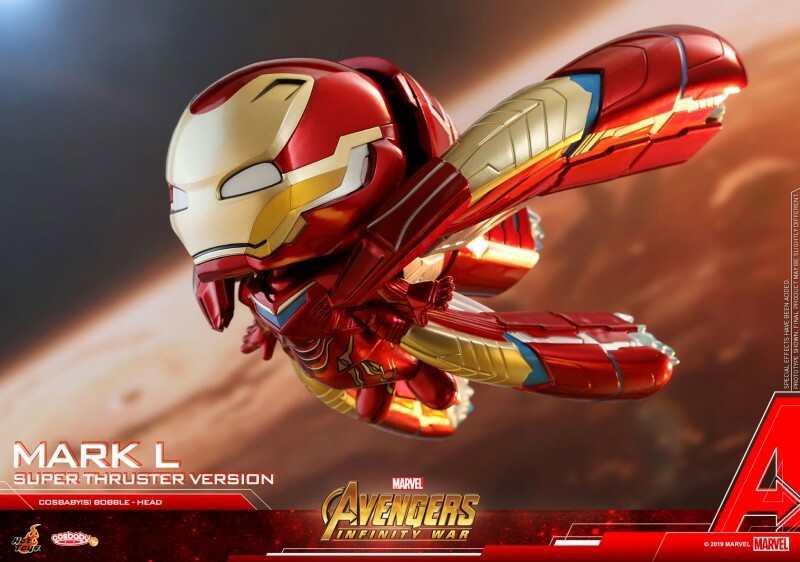 Based on Avengers: Infinity War, the newly debuted Iron Man Mark L Cosbaby Bobble-Head Collectible features the super suit in metallic red and plenty of gold accents, also a pair of Super Thruster attached to the back of the armor as seen in the epic battle! It is specially crafted in Cosbaby form with bobble-head function and stands approximately 11cm in height and 14.5m in length. 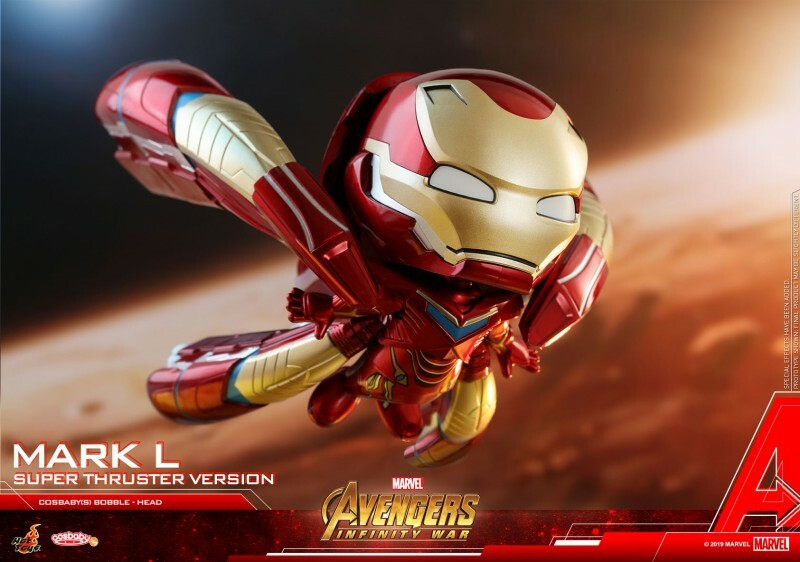 Certainly not to miss out this futuristic Iron Man Cosbaby from your pride collection!